The Vice President, Shri M. Venkaiah Naidu addressing the gathering at the Rajtilak Dussehra Day Celebrations, at Lal Quila Maidan, in Delhi on October 01, 2017. New Delhi : The Vice President of India, Shri M. Venkaiah Naidu has said that Bhagwan Rama was an embodiment of our culture. He was addressing the gathering at the Rajtilak Dussehra Day Celebrations, here today. The Vice President said that Bhagwan Ram was an ideal man, an ideal human being, ideal ruler, ideal father, ideal son, whatever his father has said, he has followed it, and that is why Rama is always respected, adored, admired. The Vice President said that after independence, Mahatma Gandhi wanted Ramarajya in India. Ramarajya means an ideal rule, where there is no fear, where there is no huger, where there is no corruption, where there is no exploitation, where there is no discrimination. He further said that it is our duty at various levels and we must all work for the ideals of Ramarajya, given to the expectations of Mahatma Gandhi, and see to it that the people are given a fair rule we all concerned. That is why politicians always talk about Ramarajya, he added. The Vice President said that Rama is our identity, our heritage. He further said that he was happy that the Nava Shri Dharmiak Leela Committee is regularly organizing Ramleela in order to remind the people about the great Rama, the great deeds he has done, the great example he has set before the country. 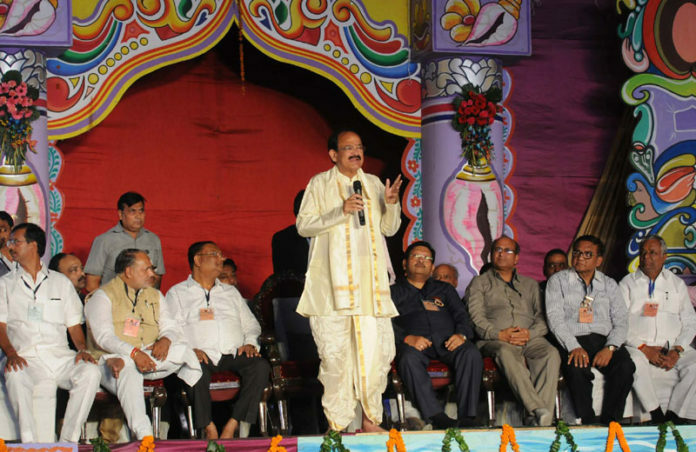 The Vice President said that the Dharmiak Leela Committee is regularly organizing this on regular basis where to felicitate the people to come and see the experience of the Ramleela. He further said that Vijaya Dashmi is a victory of truth over untruth, victory of fairness over unfairness, victory of satya over asatya, that is the concept of Ramleela. The demon is disturbing the human kind that is why the Ravana vadha is taken place. Keeping this in our mind all of us in our life should embody the satya, that identity set by our great people, we must stand for honesty, we must also stand for fairness. We must all work towards real Ramarajya, where there is no hunger, where there is no corruption, where there no exploitation, where there is no discrimination, on the basis of religion. 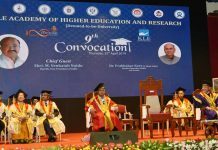 The Vice President urged upon every one that we must let the younger generation learn about Ram, Ramarajya, and take them on a fair path. Ramleela Tilak Dharan Celebration is very encouraging to everyone, and will take towards the Ramarajya, he added. He thanked the Nava Shri Dharmiak Leela Committee for inviting me to this important event. He congratulate the committee for organizing such an important event.